Get the party started with an ultimate pizza–ghetti combo from Pizza Hut’s Buy One Get One Free! When pizza meets pasta, it’s a fete that you just can’t say no to. Especially if one of the two are comes as a freebie! Tuck in for less, carb lovers! 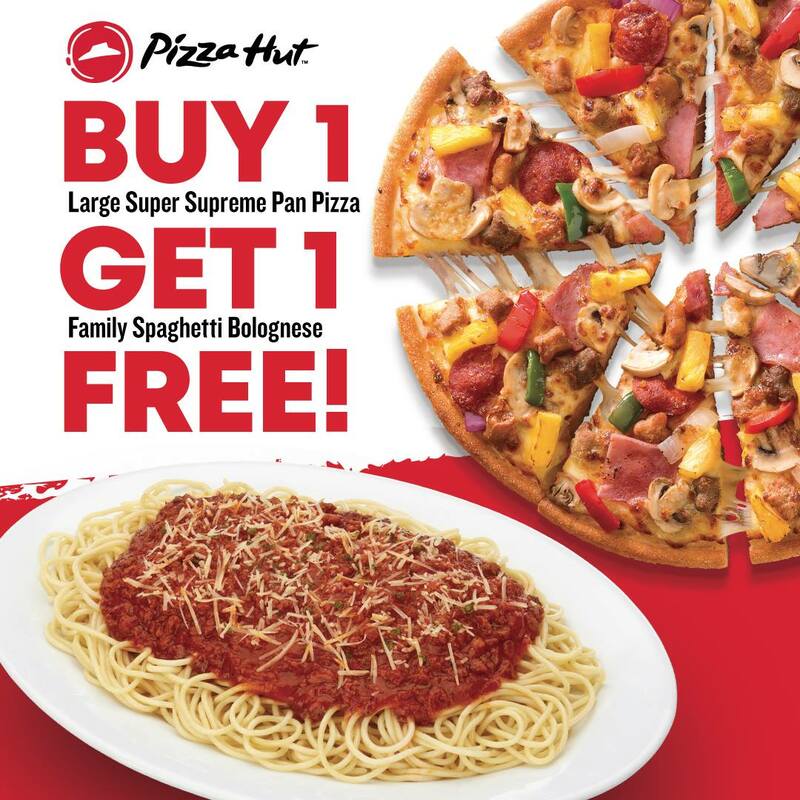 Surprise your palates today and indulge in mouthwatering zest from Pizza Hut’s Buy One Get One Free promo. 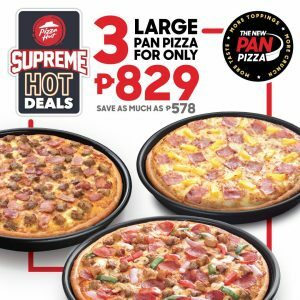 Tame your grumbling tummies with one (1) Large Super Supreme in the New Pan Pizza for only P499 and treat your taste buds with one (1) Family Spaghetti Bolognese for FREE! 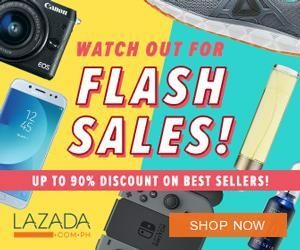 Save up to Php289 when you order today until March 29, 2019 (recently ended)! The promo is available for Take Out and Delivery transactions only. 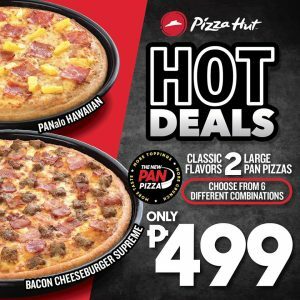 Log on to www.pizzahut.com.ph to place your order or you may also call 911-1111. Missed the Buy One Get One Promo? 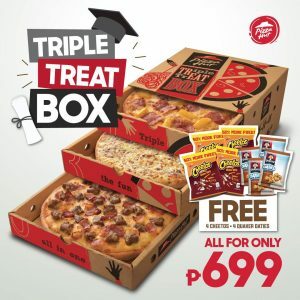 Cheer up and check out ON-GOING DEALS Pizza Hut Deals that is sure to fire up your appetite! Give in to your pizza cravings without breaking the bank. Save up to Php400 when you order Pizza Hut’s BIG Delivery Feast today. The offer is exclusive for take-out and delivery transactions only via website. It available for Metro Manila only. 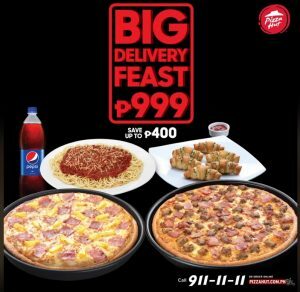 Call 911-1111 or visit www.pizzahut.com.ph to order now. 1. Promo period is from March 20-April 20, 2019. For more information and updates, please visit their official Facebook Page.